MACOMB/MOLINE, IL -- Western Illinois University has once again - for the eight consecutive year - been selected as a Military Times "Best College" (formerly known as Best for Vets College") by Military Times magazine. Western is the only Illinois public four-year university in the top 70 among four-year schools and is one of two Illinois public universities appearing on this year's four-year schools' list. According to the Military Times, 218 schools - from four-year to two-year, public, private and trade schools - responded to a survey detailing programs, policies and resources for veterans. Selection criteria included cost and financial assistance, academic outcomes/quality, university culture, academic policies and support services. Military Times also factors in data from the Veterans Affairs and Defense Departments, as well as three Education Department sources: the IPEDS Data Center, College Scorecard data and the Cohort Default Rate Database. 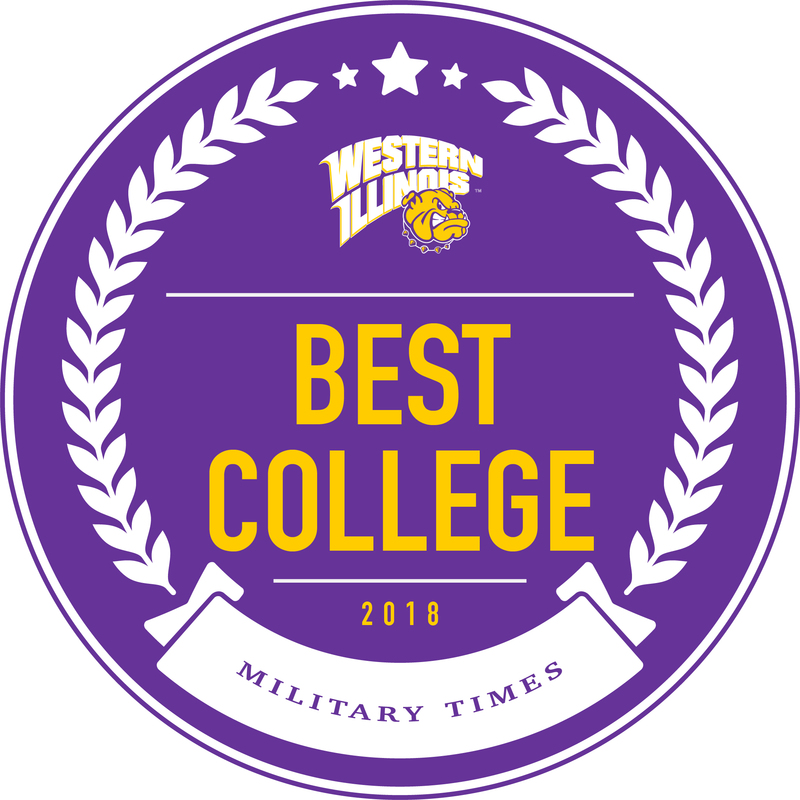 "Western Illinois University is proud of our many students, faculty and staff who are veterans, and those who are active members of the armed forces. Our University has a rich tradition of honoring and serving veterans and active members of the armed forces," said President Jack Thomas. "The continued recognition of our programs and services is a clear indication of our longstanding commitment supporting our military women and men." In addition to offering a number of online degree programs, as well as flexible academic studies and support to active military personnel and veterans, Western provides the resources that service members need upon entering – or returning to – school. The University's Wright Residence, which serves as the Veterans Resource Center, provides streamlined services and resources in a centralized location to ensure that all veterans, guard members, reservists and active duty personnel receive individual assistance with any question or concern they may encounter. The center also sponsors a series of group seminars/workshops each year based on the current needs of its military student population. The center has established partnerships with various campus and community organizations. Students gain direct access to a comprehensive array of services such as VA benefits, financial assistance, disability resources, health care, career development and personal wellness. The center also features computer access, a study/meeting room, and a three-season porch, and student-veteran peer assistants who work with student-veterans. For more information about veterans' resources at Western Illinois University, contact Kathy Meyers at KJ-Meyers@wiu.edu or (309) 298-3505.